Re:Zero is by far my favorite show airing this season, and the same could be said for it during its first twelve episodes last season. 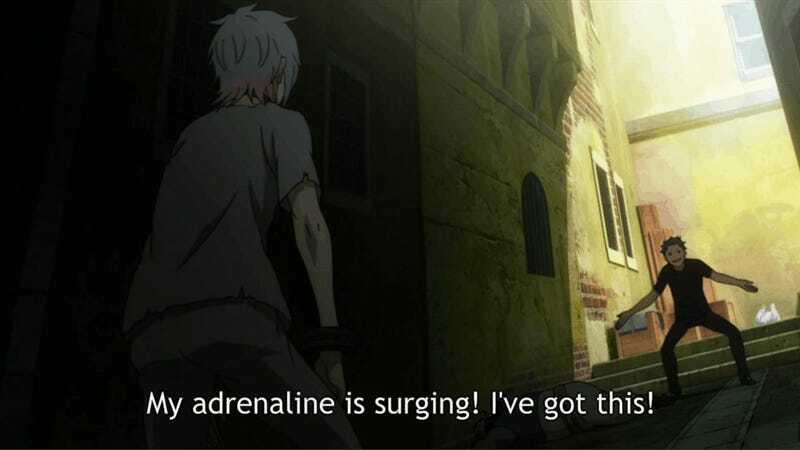 It has a relatively common-sounding setup: an otaku gamer dude gets dropped suddenly into a fantasy world. However, he has one ability that gives him a unique power: the ability to reset to a previous “check point” after dying. While this already hints at potential intrigue, Re:Zero is (in my opinion) absolutely masterful at executing its premise, both figuratively and literally. The most common complaint I’ve heard about the series, however, concerns the main character, Subaru. Many people have complained about his irrational behavior and tendency to completely screw things up. Interestingly enough, Subaru is one of my favorite characters in anime in quite some time, so I’d like to discuss why it is that I find him to be such a great character. While I’m hardly trying to convince you to like him if you don’t already, I think that Subaru’s role in the story and as his own character are masterfully done. Before I can discuss Subaru, it’s important to discuss a few of his contemporaries, or in other words, characters from similarly-introduced stories. I like to refer to these characters as “Lost in a Fantasy World” Protagonists (or LIFW Protagonists, for short) because of the commonality many protagonists of the popular sub-genre share with each other. An LIFW Protagonist, by my terms, is a common character archetype in the “Lost in a Fantasy World” genre for the main protagonist of the series. Oftentimes, an LIFW Protagonist is dropped into a world or conflict that they are seemingly unprepared for, save for their determination and unique ability of some sort which allows them to overcome it. The LIFW Protagonist is usually a dashing hero, one who uses wit and intellect to surpass their foes. Other characters find themselves drawn towards the charm of this main lead, and this is frequently because he is to a certain degree a nice guy. This is the character Subaru wants to be, but despite his best efforts he often falls short of this expectation. In a way, Subaru manages to embody some of these traits, but oftentimes they are warped. Since his form of the “Lost in a Fantasy World” Protagonist is not the perfect hero so commonly seen in other series, I think it makes him much more interesting. In the beginning, Subaru gets dropped into the fantasy world seemingly out of nowhere. Unfortunately for him, Subaru is under-equipped/weak and is easily abused by thugs in the city. It is at this point that he meets the half-elf Emilia when she rescues him out of her own good will. Because of this he decides to help her in return, and it’s from this interaction that the story of Re:Zero begins. There’s just one big problem: Subaru doesn’t really get much stronger. He doesn’t have some sort of amazing magical prowess or an uncanny ability with the sword. In the beginning, this is used as a classic kind of meta-humor a la the recently-aired KonoSuba’s main protagonist, Kazuma. But unlike KonoSuba’s comedic world, the world of Re:Zero has no room for weaklings and Subaru’s weakness quickly becomes problematic. Contrary to the popular arc of story, instead of overcoming obstacles against all odds, the instant Subaru comes into contact with a serious foe, he is brutally murdered. It was this initial introduction that the first signs of Re:Zero’s greatness began to emerge for me. Much like every other LIFW Protagonist from similar series, Subaru does have a special ability: return from death. But unlike these other series, return from death does absolutely nothing good for Subaru while he is alive, and sometimes even causes problems since the curse prevents him from telling anyone about his ability. Instead, it only makes him return again and again from a previous “check point” to attempt to somehow overcome incredible odds and get through the conflict alive. This reversal of expectations produces significant shock factor initially, but Subaru’s lack of overpowering ability makes for a more uniquely suspenseful story while also breaking genre norms. In the early portion of the show, this mechanic of returning and reattempting things was appealing to me because of Subaru’s struggling efforts and because of the intrigue/suspense around each story as I tried to figure out what he could do to stay alive. However, it is the effect these frequent deaths have on Subaru over time that really fully utilizes this concept. Each time Subaru dies, any progress he has made with the other characters is also reset to the previous “check point”. Because of this, there are really two Subarus in Re:Zero: the Subaru that Subaru knows, and the Subaru that everyone else knows. Subaru has a hard time reconciling this fact. As far as he is concerned, he, Emilia, and the others have known each other and been through far more together than the actual continuity suggests. This rolling back of character interactions, along with the trauma of death, begins affecting Subaru quite strongly. It’s not easy to come back from dying horrific, repeated deaths and not be scarred to a certain extent, and on top of that Subaru isn’t able to fall back emotionally on the other characters like other protagonists usually would be able to because the others lack any memory of Subaru dying in the first place. Due to this, from Emilia and the others’ perspectives, Subaru seems to always be acting with an obscure purpose that somehow saves them from danger, much like an LIFW Protagonist would normally behave. Of course, as we in the audience know, it is only after his many failures that Subaru eventually is able to figure out what he needs to do based on the information he already has from previous deaths. This dramatic irony is brilliant in and of itself, but it’s Subaru’s reaction to it that really takes the cake and serves as the reason why I love his character. As I mentioned before, Subaru was previously a NEET otaku with quite a bit of experience in fantasy manga and video games. Walking into the fantasy world of Re:Zero, he planned to utilize this knowledge and what he hoped would be latent over-powered abilities (too bad on that front), but his background knowledge really doesn’t do him any favors. The reality is that Subaru has no good abilities other than return from death, and he isn’t about to develop them any time soon. He doesn’t even really have the brilliant intelligence of other protagonists. The only reason he lasts more than a few seconds in Re:Zero is because he just keeps getting pulled back after failing. Between his trauma of repeatedly dying and his knowledge of how the “Lost in a Fantasy World” Protagonist is supposed to be, Subaru has a hard time coping with his reality and it pushes him into doing some very idiotic things. When Emilia is summoned to the capital to begin participation in the selection of the new Queen, Subaru naturally (especially considering he had been able to save her multiple times) wanted to come and help her. But how is he supposed to help her? Subaru doesn’t have any combat or intellectual abilities really to speak of, after all. Unfortunately, Subaru has at this point developed a dangerous reliance on Emilia due to his previous trauma. With the mantra that only he can save Emilia in his head, Subaru proceeds to make some very costly missteps. In other series, as Subaru is well aware, the LIFW Protagonist makes a bold declaration and manages to embed himself directly into the upper ranks of society through wit or ability. During the ceremony to begin the royal selection, Subaru attempts to do just that by declaring himself as Emilia’s knight. But unlike in his other fantasy stories, Subaru lacks ability to actually back up his claim, and everyone in the room knows it. He is instantly the laughing stock of the entire court and makes a complete fool of himself. But it’s not over for Subaru, because due to his strong belief and knowledge of the Subaru that no-one else knows (namely, the one that has the ability to come back to life), he instead doubles down on his behavior. By the time he is finally kicked out of the room, he has both been made a complete fool of and has also made a few enemies. Subaru realizes this, but his pride insists that he is in the right. Julius, one of the actual knights Subaru claimed to be an equal to, challenges Subaru to a duel to teach him a lesson. Of course, this duel is pointless and Subaru will clearly get destroyed in combat. However, Subaru agrees to the duel anyways out of stubbornness. 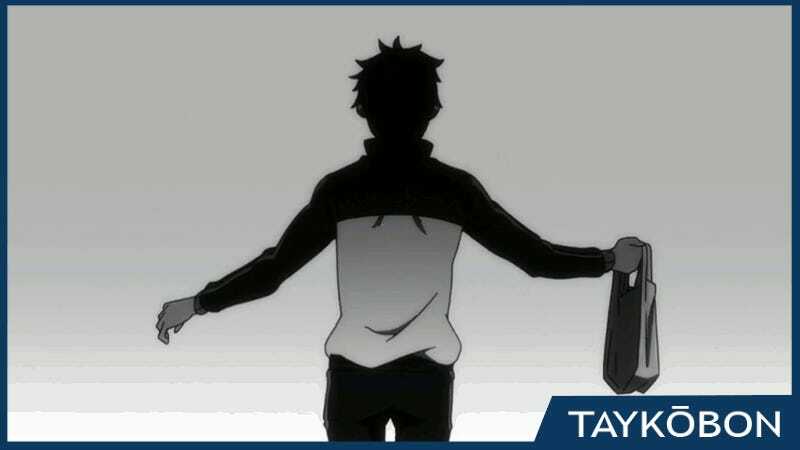 While Subaru is insistent on his ability to help Emilia, he still knows that he has screwed up majorly and to a certain extent a part of him is hoping Julius will follow through and actually kill him so that he can reset. Of course, he gets smacked down easily, although he doesn’t get killed. This is when Subaru’s mindset begins to truly self-implode, as his failures are utterly apparent to everyone, including the very person he is attempting to be a faultless hero for. After his injury in the fight, Emilia asks Subaru why he participated in the battle with Julius, but Subaru is blocked by his curse from telling anyone about return from death. As a result, in attempting to talk around this hole he is once again acting on assumptions based on the accomplishments of a Subaru that doesn’t exist for anyone else. Instead of clarifying things, he instead comes off as an egomaniac and substantially damages his relationship with Emilia. Despite his best efforts to serve as Emilia’s faultless hero (or rather because of them), Subaru ends up achieving the exact opposite of what he wants. What makes this whole series and its events so appealing for me, outside of the obvious draws of intrigue and action, is the incredibly effective deconstruction of the “Lost in a Fantasy World” Protagonist through Re:Zero’s systematic demolishing of Subaru. This is particularly evident in the examples I’ve discussed, but really is a consistent theme throughout the story. Subaru doesn’t have the abilities of an LIFW Protagonist, he isn’t able to somehow succeed in encounters that a supposedly similar protagonist should. He doesn’t gain abilities, he isn’t very good at expressing himself, and he faces devastating trauma from repeated deaths in a world that has no mercy towards the weak. Subaru is not a very likable character at times for most people, and he isn’t really supposed to be. 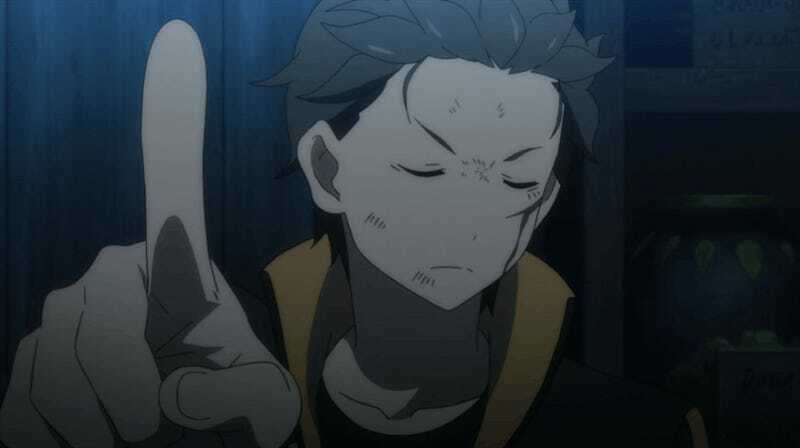 You’re not required to hate him, but Subaru’s actions are the actions of a man not meant for the world he is in. Subaru is a failure on multiple levels, but he is repeatedly sent back and put through more hell time and time again as horribly evil and manipulative people/forces continue to outmaneuver him. And eventually, he gets it right. It takes quite a bit, but eventually Subaru manages to overcome these obstacles through his numerous attempts, and it’s these moments of glory that really make me feel for a character that faces so many horrible circumstances with few to no abilities of significant worth to surpass them. Re:Zero: Starting Life in Another World is produced by White Fox and airing in the Spring and Summer 2016 seasons. Re:Zero is based on the light novel series of the same name by Tappei Nagatsuki. It is available for legal streaming in the U.S. on Crunchyroll. Special thanks to Unimplied (Tim C.) for making a gif when I didn’t have access to my shiny tools.